On Monday President Obama announced the final "clean power plan" regulation for greenhouse gas emissions from electric generating plants, the centerpiece of the broader Climate Action Plan being implemented by the Environmental Protection Agency. Amid the many assertions about the looming climate crisis confronting "the planet," about which more below, one central parameter was conspicuous by its absence. To wit: What effect on future temperatures---that, after all, is the supposed benefit of the rule---would this regulation provide? Interestingly enough, the president did not tell us. Nor did the EPA provide an estimate of temperature effects so obviously central to the discussion when it published the rule in draft form in June last year. Amazingly, EPA omits this even from its regulatory impact analysis of the final rule: Table 4-1 ("Climate Effects") informs us that the "global climate impacts" from reduced emissions of carbon dioxide (presumably, all greenhouse gas emissions in CO2 equivalents), of ozone, of particulates, and of other greenhouse gases have not been quantified or monetized. EPA directs interested readers to the administration's deeply flawed analysis of the "social cost of carbon," which does not answer this central question; and to its own "integrated science assessments" and to the UN Intergovernmental Panel on Climate Change, without specific references. (Neither the ISAs nor IPCC answers this basic question either.) EPA does note, however, that it "assess[es] these co-benefits qualitatively because we do not have sufficient confidence in available data or methods." Wow. 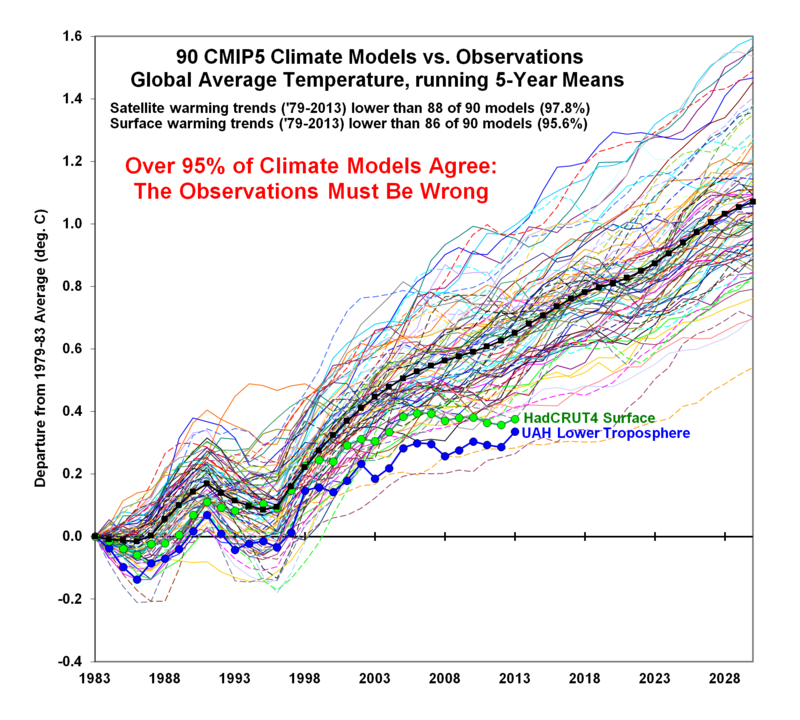 It is not as if this question cannot be answered; that is what climate models are for, whatever their massive failings. EPA itself uses the MAGICC/SCENGEN model developed at the National Center for Atmospheric Research. So: Let's apply that model not just to the clean power plan, but to the broader climate action plan, which envisions a 17 percent reduction in U.S. greenhouse gas emissions below 2005 levels by 2020. The temperature reduction in the year 2100: fifteen one-thousandths of a degree. The effect would be too small even to be measured, let alone to affect sea levels and cyclones and all the rest. If we include the pseudo-agreement between the U.S. and China that was announced last November (even though the Chinese effectively disavowed it almost immediately), we can assume an additional 10 percent reduction by the U.S. by 2025, with no actual reduction by the Chinese. This gets us another one one-hundredth of a degree, for a grand total of twenty-five one-thousandths of a degree. A similar exercise assuming large cuts by the Chinese and by the rest of the industrialized world, costing $600-750 billion per year inflicted disproportionately upon the world's poor, would reduce global temperatures by about four tenths of a degree by 2100. And so the reluctance on the part of the president and the EPA to tell us what we are getting in exchange for a large increase in power costs and reliability risks is easy to explain: The answer is embarrassing, so much so that even inserting it into a Friday news dump would not work. That is why the EPA's analysis of the new rule assumes a deeply dubious array of "co-benefits" in the form of particulate reductions and other impacts that are simply invented out of whole cloth and/or that already are counted as justifications for such other regulatory policies as the proposed ozone rule, the proposed particulate rule, and the utility mercury rule recently invalidated by the Supreme Court. Without such machinations, the clean power plan would collapse as a regulatory framework, because it is all cost and no benefit, even apart from its legal weaknesses now about to be the subject of massive litigation. The president during his comments did not skimp in terms of his description of the adverse climate impacts awaiting mankind if greenhouse gas emissions are not reduced substantially. As with an estimate of the temperature effects of his policies, he did not offer much actual evidence. Accordingly: The temperature record is ambiguous, as is the correlation of GHG concentrations and the rate of sea-level increases. 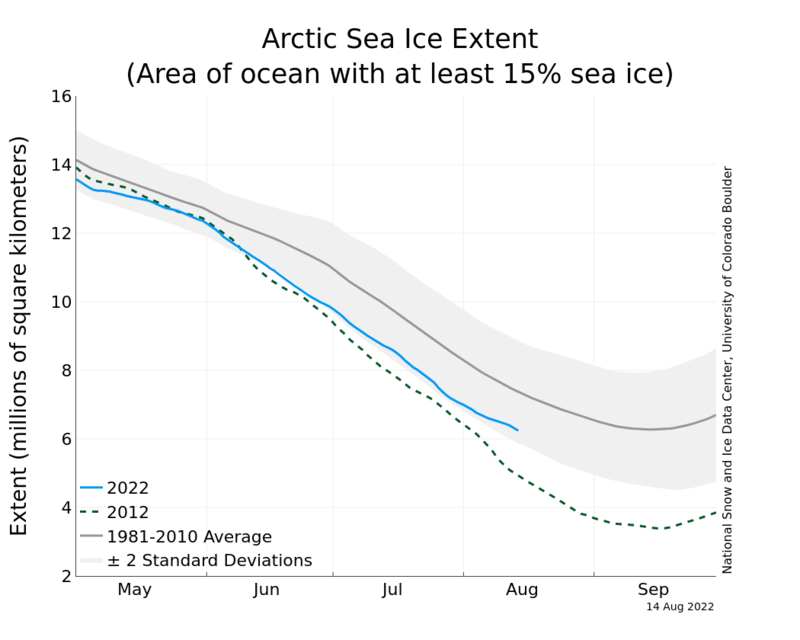 The Arctic and Antarctic sea ice covers do not differ by a statistically significant amount from the respective 1981-2010 averages. 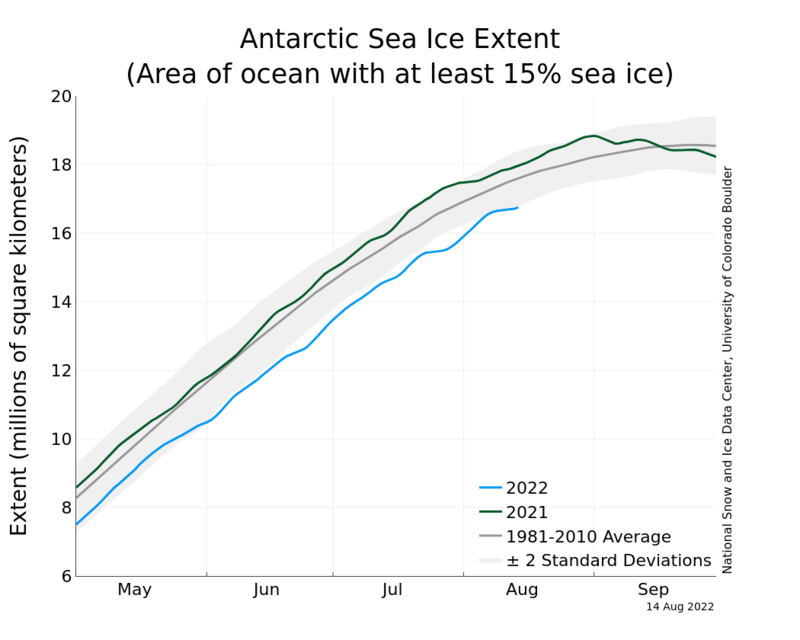 The Arctic ice cover is near the bottom, but within, the relevant range, and the Antarctic ice cover is near the top---and exceeds in some months---the relevant range. Tornado counts and intensities are in a long-term decline. The frequency and accumulated energy of tropical cyclones are near their lowest levels since satellite measurements began in the early 1970s. 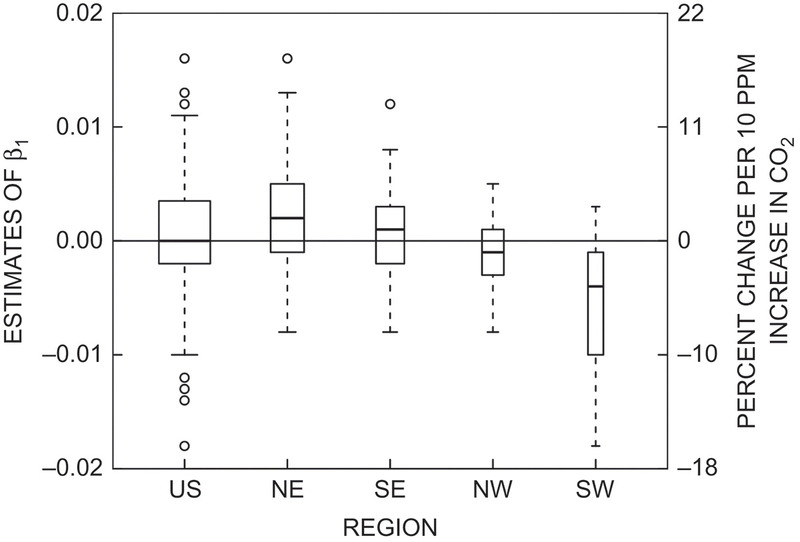 U.S. wildfires are not correlated with the temperature record or with increases in GHG concentrations. The Palmer Drought Severity Index shows no trend since 1895. Over the last century, flooding in the U.S. has not been correlated with increased GHG concentrations. World per capita food production has increased and undernourishment has decreased, both more-or-less monotonically, since 1993. It is no accident that the Clean Power Plan would raise energy costs disproportionately in red states, thus reducing their competitive advantages over blue ones? Do not underestimate the power of wealth redistribution as a force driving policymaking in the Beltway. The president repeatedly used the phrase "carbon pollution," a propaganda term designed to end debate before it begins by assuming the answer to the underlying policy question. Carbon dioxide is not "carbon" and it is not a pollutant, as a minimum atmospheric concentration of it is necessary for life itself. By far the most important GHG in terms of the radiative (warming) properties of the atmosphere is water vapor; does the president believe that it too is a "pollutant"? Presumably he does not, because ocean evaporation is a natural process. Well, so are volcanic eruptions, but no one argues that the massive amounts of particulates and toxins emitted by volcanoes are not pollutants. The climate debate is desperately in need of honesty and seriousness, two conditions characteristic of neither the Beltway nor the climate industry.